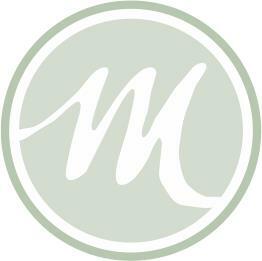 Mintage is a comprehensive, small business services and design company located in Schulenburg, TX. Our goal is to provide you with accurate, timely and easily understandable financial data to help increase your productivity and profits. Our confidential services give you the peace of mind that your business is protected. BOOKKEEPING: Let Mintage Business Services help keep you and your business on the right track with accurate and affordable bookkeeping, debt planning, and business consulting. Focus on growing your business with the expertise you have and leave the number-crunching to us! PAYROLL: Mintage specializes in timely, cost effective and accurate payroll processing. We can free up your precious time by also managing the weekly, quarterly and annual payroll tax filings for your company. CONSULTING: Whether it's a new company startup, human resource questions, or just developing better business practices, Mintage can help you get started on the right track. DEBT PLANNING: Debt got you down? Take control of your finances and your future with proven debt solutions. Mintage can put you on a debt payoff plan to help you regain control and achieve financial success. Book an hour of time for consulting, 1099 preparation, financial systems cleanup, debt planning, payroll, account reconciliations; the possibilities are endless! With over 13 years of experience, you can rest assured that you and your business are in capable hands. Your success is our priority! For a full list of services we offer, go to www.mintagegroup.com.